Leading Manufacturer of high voltage synthetic insulating mats, electrical insulation mats and insulating rubber mat maruti brand from Delhi. Safety from electrical shock is required for workmen whether they are involved in electricity generation, transmission, distribution or its use. Mats are used near for safety of workmen from electrical shock , High Voltage Panels, Sub-station, Power Transformer Rooms, LT & HT Labs, near Busbars, near Control Panels etc. The mat is as per IS 15652 : 2006. 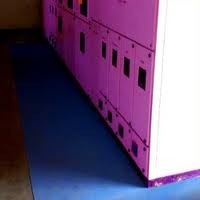 We are one of the chief manufacturer and exporter of electrical insulating mats. 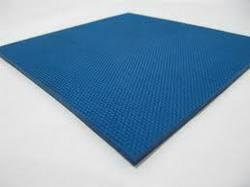 As an eminent manufacturer, we provide electrical insulating mats as per international standards. The mat is manufactured using the latest techniques of production, thereby assuring our clients authenticity. Vardhman insulating switchboard matting is considered as personal protection equipment (PPE), it is specially designed for use in front of open switch boards or high voltage equipment. Used in many industrial plants and factories to protect against electrical shocks. Mats conforming to this standard are highly recommended in all kinds of electric sub-stations, transformer rooms, lift machine rooms, switch rooms, electrical panels, ac plant rooms, x-ray plant rooms, lt/ht labs, around bus bars, generator rooms, etc. As a safeguard to the life of human being due to any possible leakage. Our Electrical Insulation Mats are very much required to ensure complete safety in performing any type of electrical operation, be it generation, transmission, distribution or use. The super safe Poly Electro Safe Mat provided by us provides complete safety from shocks and therefore ideally recommended for workmen who manage electrical applications. Looking for Electrical Insulation Mat ?